We can pick up many of the strengths and weaknesses of a book from reading the first few thousand words. Whether you’ve finished your initial draft, or have just dipped your toes in the shallows of the first couple of chapters, we can help. 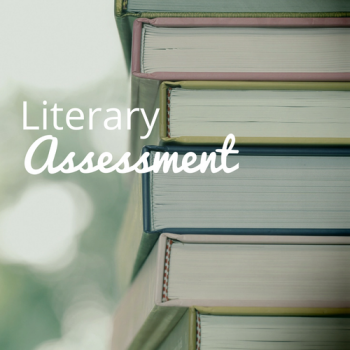 We offer literary assessments for writers of fiction (novels and short stories) or non-fiction. Send us up to 5000 words and a one-page outline of your book (or your short story or non-fiction piece) and we’ll give you a practical assessment that’ll help you tackle your project with increased confidence and understanding. A reading of the manuscript. An analysis of the outline. A written general literary report which will include comments on structure, narrative, plot, point of view and characterisation. A feedback discussion via Skype or Zoom. Anyone who is writing or has written a manuscript knows that you can’t ask friends and family to judge it for you. Not only could it be hazardous to health (theirs), but you’ll be none the wiser about its strengths and weaknesses. We can give you a literary assessment at any stage of your process, whenever you feel you need a trained outside eye to have a look. You might be at the start of a new writing project or you might be stuck and need to brainstorm your way out of a problem. Professional advice will help you you take your imperfect efforts in hand and bring them as close as you possibly can to the vision you have for it. 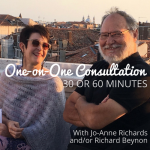 Jo-Anne Richards and Richard Beynon are writers and skilled book doctors, trusted by publishers to give practical advice on where a manuscript works, where it doesn’t, and how to mend its flaws. We are available to brainstorm your story idea; or discuss the options for a striking beginning; or help you work through a problem you’re having with a manuscript. Jo-Anne Richards is an internationally published novelist with a PhD in Creative Writing from Wits University. Her novels include The Innocence of Roast Chicken, Touching the Lighthouse, Sad at the Edges, and My Brother’s Book and The Imagined Child. Six of her short stories have been published in collections. She ran the Honours programme and taught writing skills in the Wits University Journalism Department for fifteen years and has supervised in the Wits and Cape Town Creative Writing Masters. Richard Beynon is a story consultant and an award-winning film and television scriptwriter with a long and accomplished career in the industry. He has written for – or headed the storytelling teams of – many of country’s most popular soaps, dramas and comedies. These include S’gudi Snaysi, Going Up, Soul City, Isidingo, Scandal, Rhythm City and Isibaya. He has lectured on writing for film and television at Wits. Jo-Anne and Richard, together with Trish Urquhart, founded All About Writing in 2007. We offer courses, both online and face-to-face, that promote good writing. They include creative writing and scriptwriting courses, intensive online writing workouts, coaching and mentoring programmes as well as workshops and writing retreats including our annual retreat in Venice, Italy.